Dear Rpsc Guru Expert Readers firstly congratulation for your success in SBI Prelims today's 26 June 2016 State Bank of India held SBI Mains exam 2016 is successfully held on various examinations centers across in India. 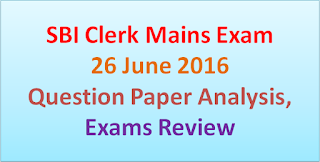 Thousands of aspirants are presents in the SBI Clerk Mains Exam 2016. 151MW solar plant which state? Today is second and last day of SBI Clerk Exam 2016. The State Bank of India has successfully conducted the Second terms Examination for the Clerk/ JA/ JAA Recruitment on 25th and 26th June 2016. The marks secured in SBI Clerk Mains Examination will play a major role while making the Final Merit List as Prelims Examination was only qualifying in nature. 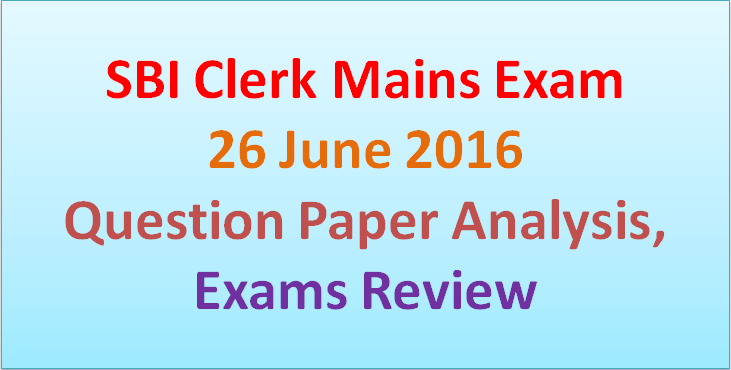 Share and discuss your Attempted questions in SBI Mains Exam 2016 in comments box.